Amazon.com Price: $199 (as of 21/04/2019 04:51 PST- Details) & FREE Shipping. 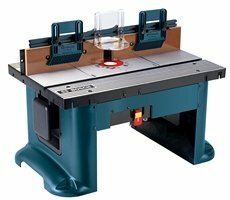 The RA1181 benchtop router is precise and versatile (click to enlarge). It is backed by Bosch’s one-year limited warranty, 30-day money back guarantee, and one-year service protection plan.